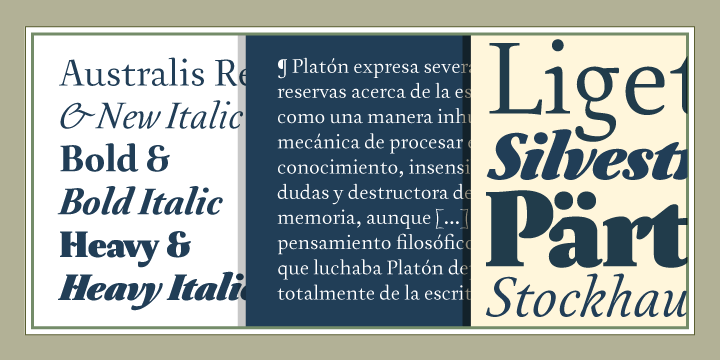 Australis Pro is a typeface created by Francisco Galvez and published by Latinotype. This is a font perfect for magazines and it has ten years of learning to improve. A font description published on Saturday, December 29th, 2012 in Fonts, Latinotype by Alexandra that has 3,219 views.